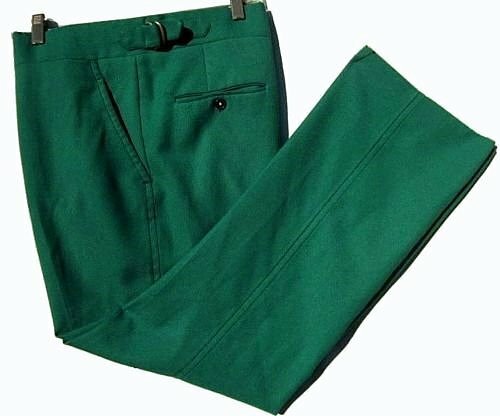 These pants are a dark Kelly green double knit polyester. There are metal rings on the site that can be slightly adjusted. at the very bottom edge of pants. There are no spots or serious issues, just typical wear. They were designed in France and tailored in the USA. Total Length from Waist : 41"
Pants may need to be washed.